This 5 Tips for Establishing a Back-to-School Routine post has been sponsored by Pfizer Consumer Healthcare. All thoughts and reviews are my own. Back-to-school season is here and that has my kids super excited. While summers are nice, it’s exciting for the kids to be learning and excelling again. I wanted to share some tips for establishing a back-to-school routine. A routine is vital, especially when kids are going back to school. We hope that you enjoy these 5 Tips for Establishing a Back-to-School Routine. Something that has always helped us with the back-to-school routine is starting early. Don’t wait until the night before school starts to get them into bed early. My kids appreciate starting our routine at least a week early. Routine is everything for kids, especially when back-to-school season is starting. Those late nights of watching movies and baseball games start catching up to everyone after a while. I think back-to-school gets crazier whenever we stress out. Stressing out will cause your kids to stress out and it’ll be a huge mess for everyone. The best thing you can do is take a deep breath. The whole family can learn some stress relieving techniques. For example, deep breathing when feeling stressed is a great tool. You know what will help your family with going back to school? Staying organized. I try to keep the clutter out of our house and I say no to unnecessary things in our schedule. Staying organized means that I write things down and stay on top of our busy schedule. School is serious business and kids absolutely need a way to relax because all work and no play can have a negative impact on your children. We love having fun as a family and the best way to do that is to schedule a time or two each week to let loose. We might go to get ice cream, hang out at the park or even go mountain biking. These fun events help relieve the stress that can build up over time, making this school year successful and stress-free. No matter how busy or crazy this back to school life gets, I make it a point to spend quality time with my kids as much as possible. 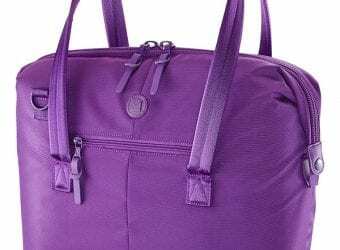 Back-to-school season doesn’t need to be a chaotic season in life. I try to take those small moments with my kids still, it is essential. I have kids that are unpredictable. Aren't they all? I truly never know when they may get sick, which is why I stock up on Pfizer Pediatric Products. I have a whole shelf in my medicine cabinet dedicated to products that they make. Specifically, Children’s Advil®, Children’s Robitussin®, Children’s Dimetapp®, are always in my medicine cabinet. Ease those aches and pains, while reducing a child’s fever fast with Children’s Advil®, a great solution for kids as young as 2 and up to 11. Children’s Advil® comes in several great-tasting flavors, including: Sugar-free Dye-free Berry, Bubble Gum, Grape, Blue Raspberry, Fruit and Dye-Free White Grape flavors. There’s also Infants’ Advil® White Grape, which provides unsurpassed fever relief (among OTC pain relievers) with a syringe for easy dosing for children 6-23 months. 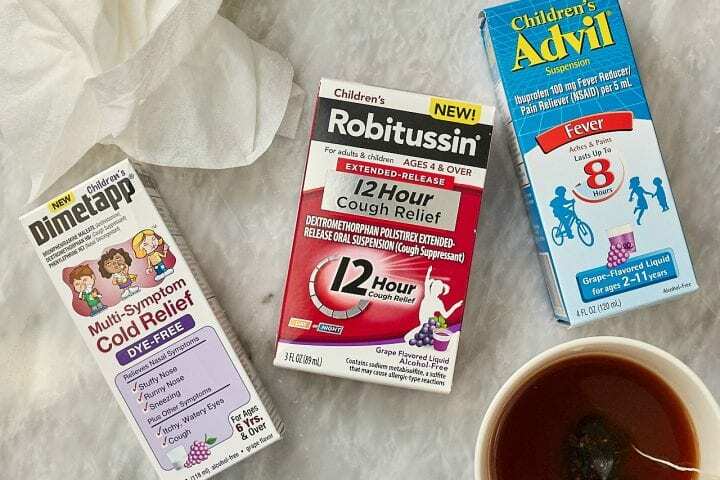 For your child’s cough, trust Children's Robitussin® Extended-Release 12 Hour Cough Relief to control and relieve symptoms all-day or all- night. Available in grape or orange flavor, for children ages 4 and up. 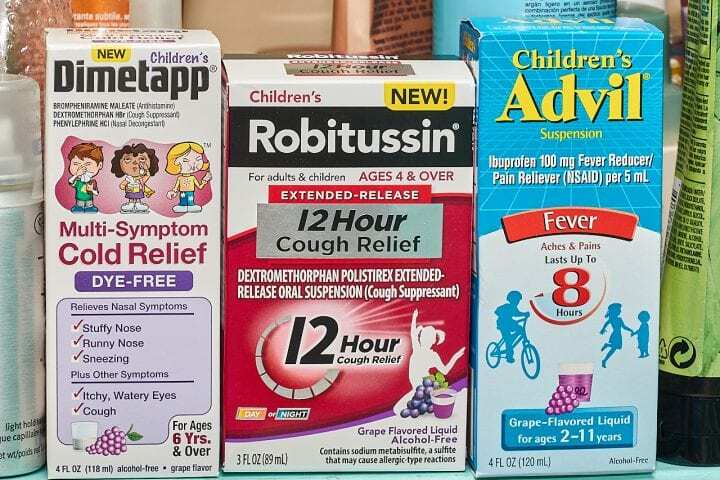 Please note, certain Children's Robitussin® products are only suitable for children ages 6 and up. Children’s Dimetapp® Multi-Symptom Cold Relief Dye-Free eases your child’s stuffy and runny nose, while quieting a bothersome cough. All in a great-tasting grape flavor that’s dye-free, for children 6 and up. With kids in school, you never know when a sickness will strike. Trust me, back-to-school season comes with a lot of germs and you don’t want to be caught unprepared. Head to the Sick just got real.™ website to learn more. Visit the Sick just got real.™ Facebook Page to learn about the pediatric brands of Pfizer Consumer Healthcare. There are so many things you can do to help make this school year a success for your children and establishing good routines is key to starting the year off right. The more you’re involved in your children’s lives and the more willing you are to help them out, the more likely they will be to succeed. 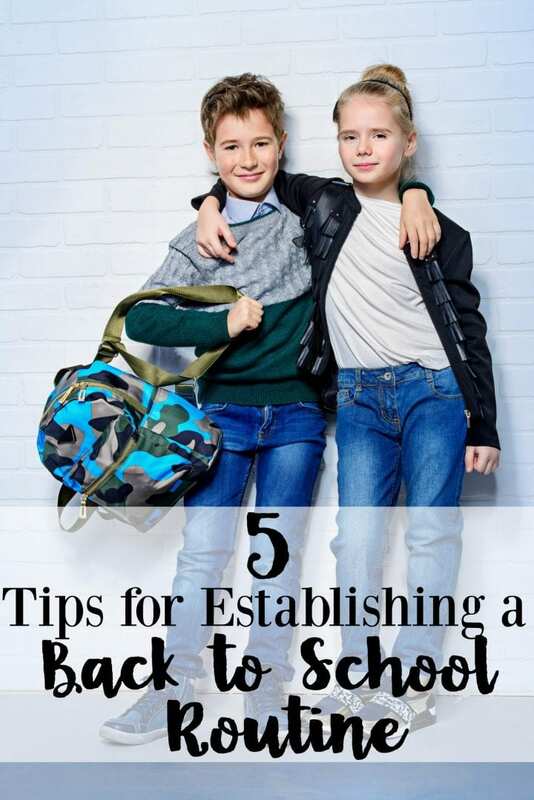 We hope that you loved this 5 Tips for Establishing a Back-to-School Routine post. What’s your routine? I’d love to hear your tips! This 5 Tips for Establishing a Back to School Routine post has been sponsored by Pfizer Consumer Healthcare. All thoughts and reviews are my own. Ya I realized that I should have started our routine early when my kids wouldn’t wake up this morning! We haven’t been on a schedule all summer so it’s going to be nice getting back into the groove of things! Great tips not just for back to school but an lifestyle routine in general! We try to have some fun each day so that out kiddo can have a break. When we get home from school he does need to start homework, but then we usually hang out and watch something or play something after. Mama is sick right now, so here’s hoping the kids don;t get it. I am stocked up on all of these things, so I will be prepared if they do get it. My back to school routine involves a lot of planning and coffee. My kids do not get their tvs or tablets so they can focus on their studies. These are all great tips. We always try to stay as organized as possible. I hate not being organized, especially when it’s back to school for the kids. These are great tips. 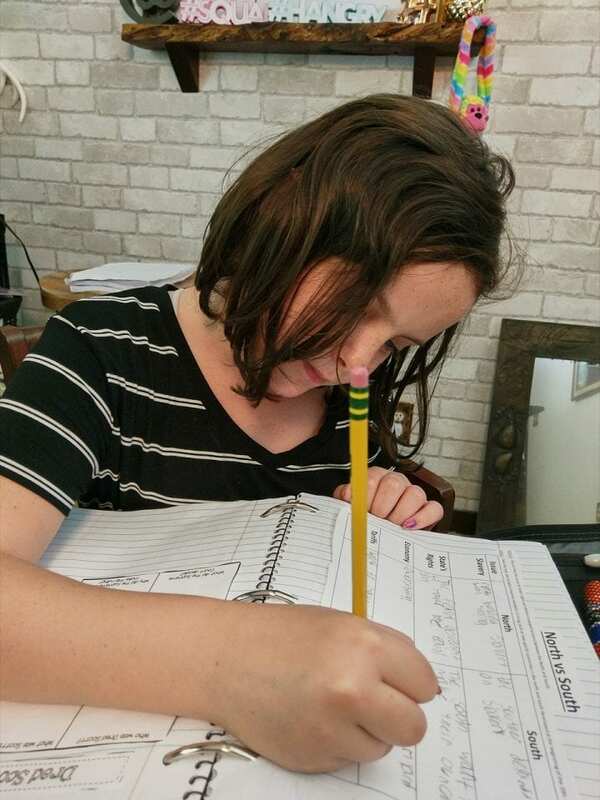 We homeschool so staying organized is important. Today was the first day of school and having a routine is so important. I hate it when my kids get sick. When they were younger I used Children’s Advil. Great points! Making sure you’re having fun while getting together a consistent routine is important! It shouldn’t be too stressful. I think it is so important to start your back to school routine at least a week before school starts back up. These are great tips. 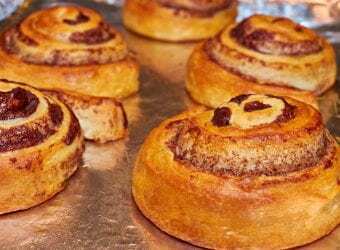 I will have to try a few for this year. Schools been in for 2 weeks and I’m already needing to restock my Pfizer products!! Got to love those back to school germs, ugh. On a brighter note, thank goodness I had them stocked before the germs started flying! These are some great tips! I completely agree to start the routine earlier before school begins that way the kids and you get a chance to adjust to the non summer schedule! LOL! My girls have already brought a few germs home and we hope to keep them away as much as possible! If not we will be getting some of your suggestions at the store! Nothing ruins the back to school excitement like germs and illness. This is a great way to prepare for back to school! We kept the kids busy over the summer so they don’t have issues in the fall. Routine does help them. With the colder season right around the corner these are important to stock up on. Also yes to organization and routine. We’ve been in school just a few weeks, and my oldest has already been sent home sick. Cold, cough, and flu medicine should be on every school supply list. Love it! You’ve got to stay organized, and you’ve GOT to stay well! If you don’t, the whole year can get torpedoed. We homeschool but we find that we get sick more around this time of year because of going back to groups and such. It’s so important to have a routine as well as a good option for sick days. 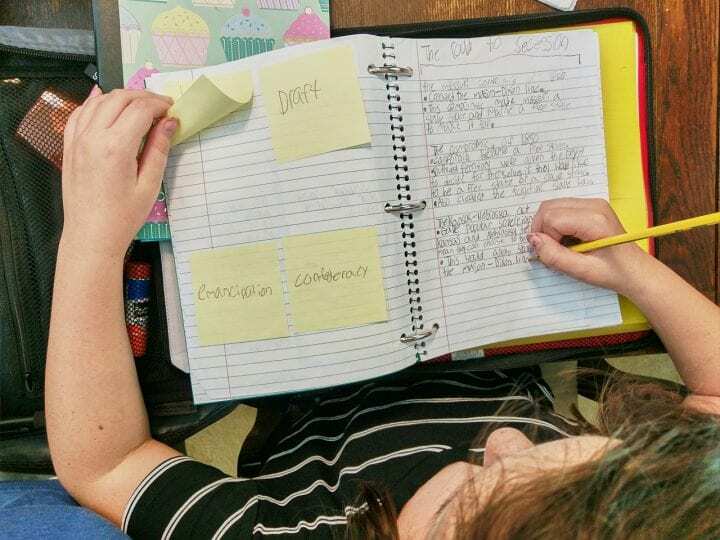 Easing into a routine when school comes around again can be tough, organization and trying to re-establish the time clock a few weeks before the school year begins are the best ways to ease back in. Advil and Robitussin are two great brands to have in your medicine cabinet just in case. (I have actually never tried dimetapp but have heard nothing but good things). There’s so much that you can do to make all this back to school chaos less stressful for everyone. I like sticking to a scheduled and keeping everything organized, with four kids, it can get really crazy! Starting early is definitely a must especially since kids live and breathe routines! I think it’s going to allow them to have ample time to get used to going back to school! I thought with my daughter going to college, we would have less stress. We have had to be more organized than ever. And I am already sick, two weeks in. Yeesh! When my kids were young, we had to “ease into” school schedule a week or two early. Bedtime gets adjusted, breakfast is served early, gadget and tv time is set back to its school time limits. It made the transition easier for everyone. Well, of course, new bags, clothes and shoes helped build the excitement. Thanks for the reminder to stock up on cold and allergy medicine. Goodbye sunburn and insect bites. Hello, colds and sniffles! We like to start trying to get our bodies used to the early hours again. So, we try to get up earlier and earlier as school gets closer. I don’t have school age kids but this is good advice. Being organized is the key as well as not waiting until the last minute. Great Tips!!! I agree totally with them all but love stocking up on great medicine to be prepared! So many germs the kids bring home! Also getting on schedule EARLY! This is a must! It’s hard for me to not be a stress-mess… but sometimes, I find myself overwhelmed. I think that’s the one thing I should really place a focus on… especially now that back-to-school time has rolled around. These are all great tips. I usually get all the medicines I will need and I try to be prepared so I’m not running out to the store. I also make a huge pot of chicken soup and freeze it in containers. Establishing a good routine, especially one that includes vitamins and such are perfect for back to school!! This is the time of year that everyone gets sick from being around so many other kids!! It can be really hard to get back into the swing of things. We are two weeks in and it is getting easier. My back to school routine varies depending the day of the week because my daughter plays soccer and have practice after school. The very first rule is no tv or electronic before all school work is done! Funny you should mention this.. it is the third day of school and I had to pick up my daughter because she is sick. It definitely takes a lot of adjusting when the kids go back to school. I am still adjusting to the back to school routine myself. We always get the kids to do their homework first thing when they get home. My youngest is starting to read a book for 20 minutes at night too. I started getting organized early. I have two kids in school for the first time. Thank God for Goggle calendar. It is a must to have clothes, schedules and car rides organized before the first day of school. Otherwise, the chaos extends for weeks. I’m not looking forward to cold season, especially since I’m suffering so much right now from fall allergies! But when my kids we’re little, Dimetapp was a staple in our household. I could really count on it. Thank you for these tips. My kids are grown but when they were still in school, it was an established routine that saved our sanity. Back to school can be a stressful time. I know that it was for me growing up so I can say first hand that loads of these tips would have been really useful! These are definitely some great tips for establishing a back-to-school routine. I know the sickies is already going around our school.